This floating inside corner kit includes 2 male and female T connectors, 2 connector pins and 4 backer plates. Use for all floating dock applications. Hardware is 1/4 nominal hot dip galvanized steel, with 9/16 holes for 1/2 carriage bolts. Kit includes all hardware, bolts not included. Floating Dock Hardware component manufactured from 5 Gauge (1/4") hot dip galvanized steel. Slot size is 9/16". Use Outside Corner Female to add extra support to the dock corner, and allow for a strong and durable connection to another dock section. Use with the Outside Corner Male and Hinge Pin. 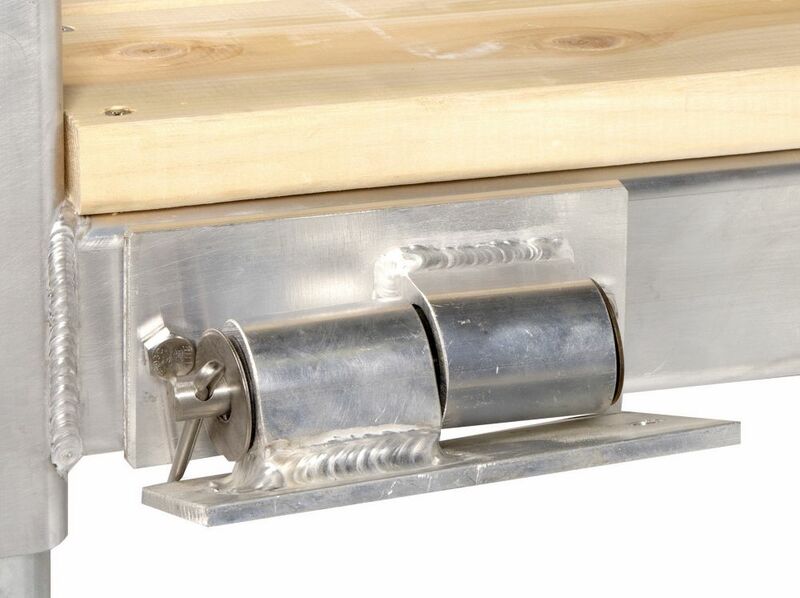 This Floating Dock Hardware component is manufactured from 5 Gauge (1/4") hot dip galvanized steel. Slot size is 9/16". Use Outside Corner Male with backer plates or inside corner at outside end of docks, fingers or swim platform. Use with Outside Corner Female and Hinge Pin. Stationary Dock Hardware is 1/8" nominal Hot Dip Galvanized Steel with 7/16" holes for 3/8" carriage bolts. Connector Hinge used to join dock sections or a fixed ramp to the dock at varying angles. Includes the hinge pin.